Blast Points Podcast: Episode 128 they talk about George’s comments on the Whills, new Star Wars Battlefront II content, Jedi: Fallen Order, then their main topic The Ewok Adventure read-along books. 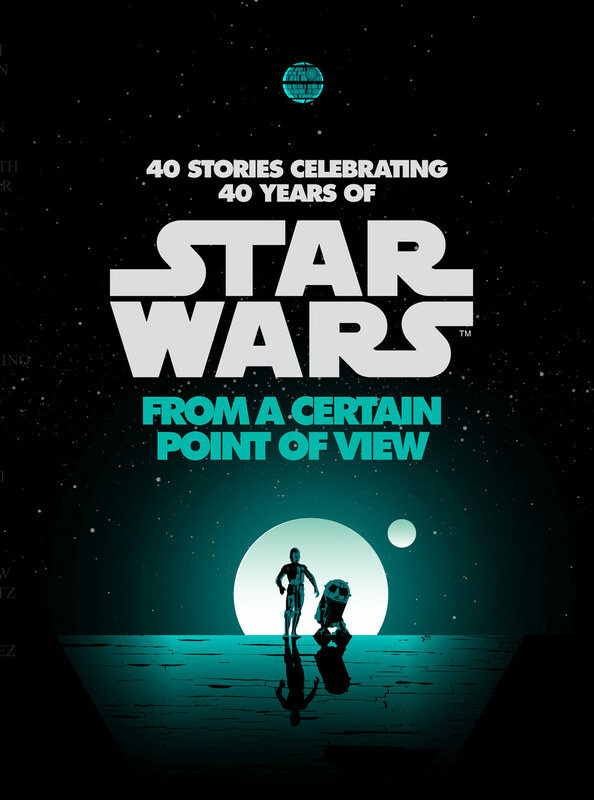 First they talk a little about The Ewok Adventure movies, the continuity of the Ewok universe, and then they listen to the audio for the read-along books. Fun episode. Coffee With Kenobi: Episode 129 Dan is joined by guests Din and Taxus as they talk about the characters in Solo, the theme of tribe and family, and whether Han changes. Dan has an audio segment from an event at the Riverfront Museum where he talked about the mythology of Han Solo and his trip to the premier (audio quality for this segment is okay). Dan, Tom and Cory go over the news, George’s comments on the Whills, and SDCC exclusives. Dan talks with his son Jason about The Empire Strikes Back, and Din has a new remix for one of his songs. 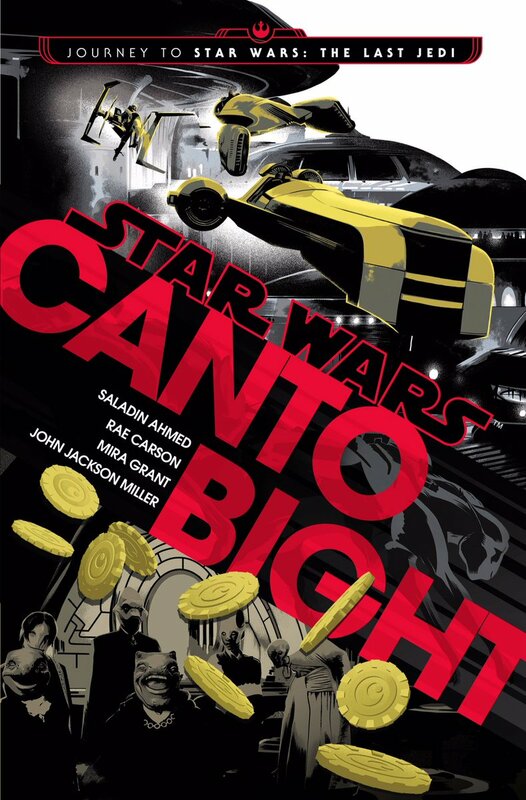 StarWars.com has revealed the cover for Star Wars: Canto Bight, and they’ve revealed details on each of the stories in the book. Follow the link for the full scoop. Here is the audio from John Jackson Miller’s comic panel at Star Wars Celebration Orlando 2017. Del Rey has just revealed the cover and title for the next Rogue One tie-in novel: Bor Gullet Strikes Back! The book will be written by New York Times bestselling author John Jackson Miller with a 2017 Fall release. The full synopsis will be revealed at Star Wars Celebration, but they have released a short description to give fans an idea of what to expect. After narrowly escaping the Death Star’s attack on Jedha City, Saw Gerrera’s chief enforcer, Bor Gullet, has taken on the mantle of leading the survivors of Saw’s rebel cell. Backed by ferocious warriors like Moroff the merciless, the terrifying Edrio Two Tubes and the wicked Weeteef, they’re ready to strike back at the Empire to avenge the deaths of their brethren. But what they don’t realize is that the Empire is already on the hunt and they’ve enlisted the help of Inferno Squadron. 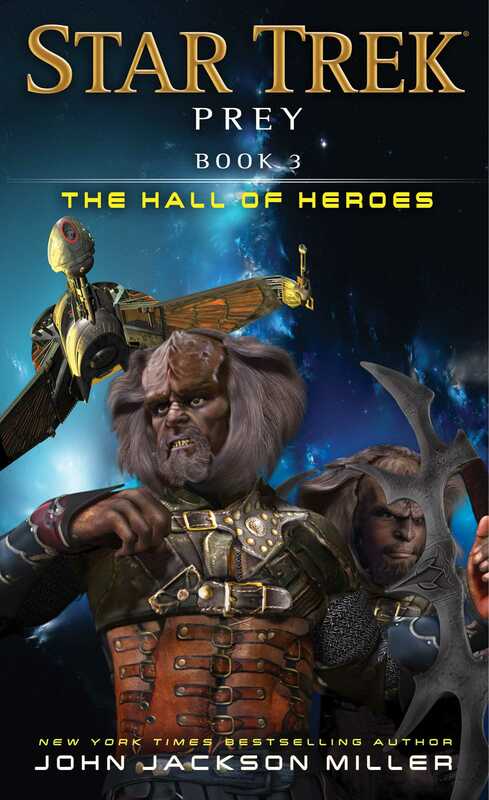 As revealed in the description from StarWars.com, this will be a direct follow-up novel to Christie Golden’s Inferno Squadron, which will be following the Imperial’s side of things. This also marks the first duology of the new canon which they’re calling Rogue Cells. 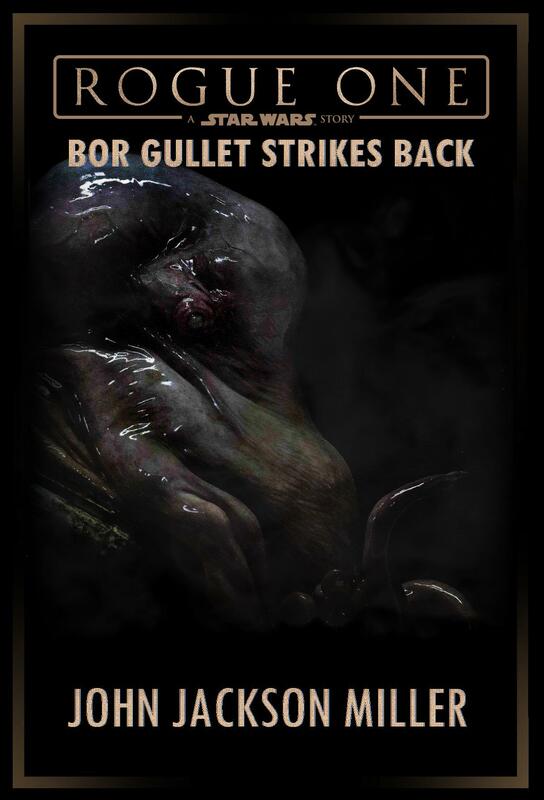 With Bor Gullet Gullet hype being at an all time high right now, this announcement makes a lot of sense and is a perfect fit in the timeline. Here is this week’s Podcasts in Review. Lots of Rogue One discussion episodes, some better than others. Assembly of Geeks: Rogue One Reviews starts with some discussion on Gotham City Sirens and a Deadshot movie, then they move into their reviews of Rogue One with guest Dan Zehr (Coffee With Kenobi). While there’s no love for Bor Gullet or Saw, they do discuss the things they liked as well as the things they didn’t like, what they wanted, the CGI, possible plot holes and ranking it. Bantha Fodder: Episode 15 is a Christmas special as they do their own version of “Twas A Night Before Christmas” but Rogue One themed. Worth a listen. 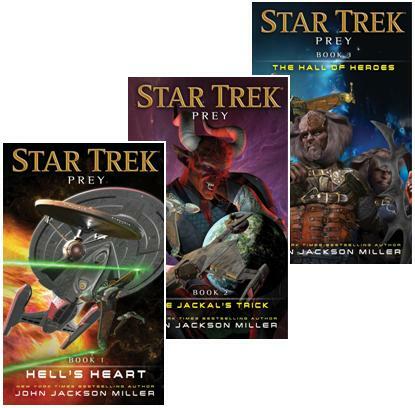 With the release of The Hall of Heroes today, the final novel in the Star Trek: Prey trilogy by John Jackson Miller, we’re celebrating by giving away a complete set of the trilogy! Just leave a comment below letting us know what your favorite Star Trek ship is and you’ll be entered to win. Anyone in the United States is eligible (sorry, no international shipping) and a winner will be picked this Friday. Good luck!